The central goal of the therapist engaged in helping someone to quit smoking is to teach the smoker ways to prepare to quit, successfully abstain through regular self-monitoring and behavioral modifications, and then to continue to maintain this abstinence over a greater period of time. Cognitive Behavior Therapy (CBT) has been shown to be an effective approach for smoking cessation, and is becoming an attractive alternative for people who want or need the additional support beyond nicotine gum or pharmacological options. The basic counseling strategies and interventions employed are fundamental tools that have been established, researched, and refined over the past decades. Unique to this volume, however, is the inclusion of a specific CBT model designed to address weight gain concerns in the smoker. Ken Perkins and his colleagues are leading researchers in this area of intersection between smoking cessation and concerns about the potential gain in weight that can accompany a successful quitting. They build upon the general CBT approach to smoking cessation counseling by allowing the practitioner to incorporate specifically tailored interventions, behavior modifications, and therapeutic strategies when working with clients who are worried about gaining weight. 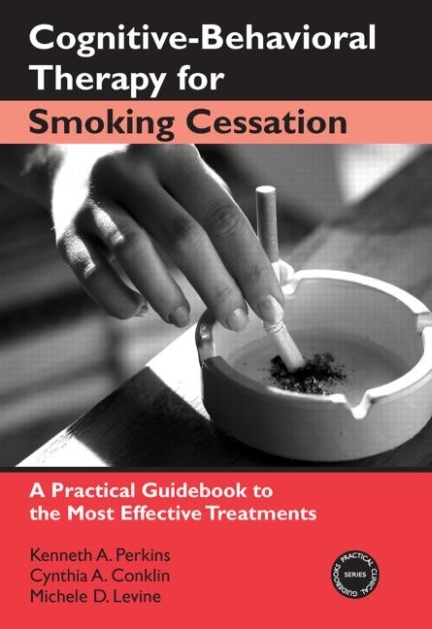 In this single volume, the authors have provided a valuable guidebook to an empirically based CBT approach to smoking cessation.